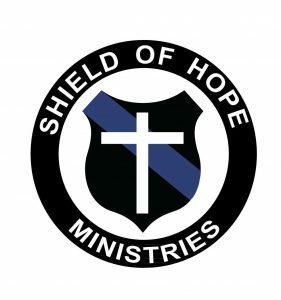 Shield Of Hope Ministries started back in March of 2014, in Honduras. It was the first time I went on a mission trip with my church. I didn’t know why the Lord was calling me there but I had the opportunity to return that following June. As a police officer in Texas, I knew the difference between not serving the Lord and serving Him. Before I came to Christ, I was miserable though I didn’t know it. I was chained down by sin and had no hope. Several years ago the Lord called me out of that darkness and into His light and it would change my life forever. In June of 2014, I was given the chance to witness and share my testimony with three Honduran police officers. Despite language, culture, and professional barriers, I quickly learned we had more in common than I thought. I realized they were where I was years ago when I wasn’t serving or following Christ Jesus. I explained to them how God calls us to be a light in a dark world (Ephesians 5:6-14) and how important is to be above reproach in everything they do (1 Timothy 3:2). After visiting with them for a few hours I learned they lacked basic equipment such as flashlights. I told the officers when we returned we would have lights for them. The next day, one of the sergeants called crying saying that he wanted to come to Christ! It was at that moment the Lord revealed why He brought me to Honduras. In law enforcement we have a special opportunity to be a light for others to see and how that can change the hearts of the communities in which we serve. 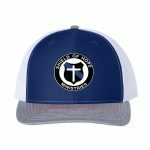 I am blessed to have four brothers in Christ who are an integral part of this ministry and we look forward to what Christ has in store for us.